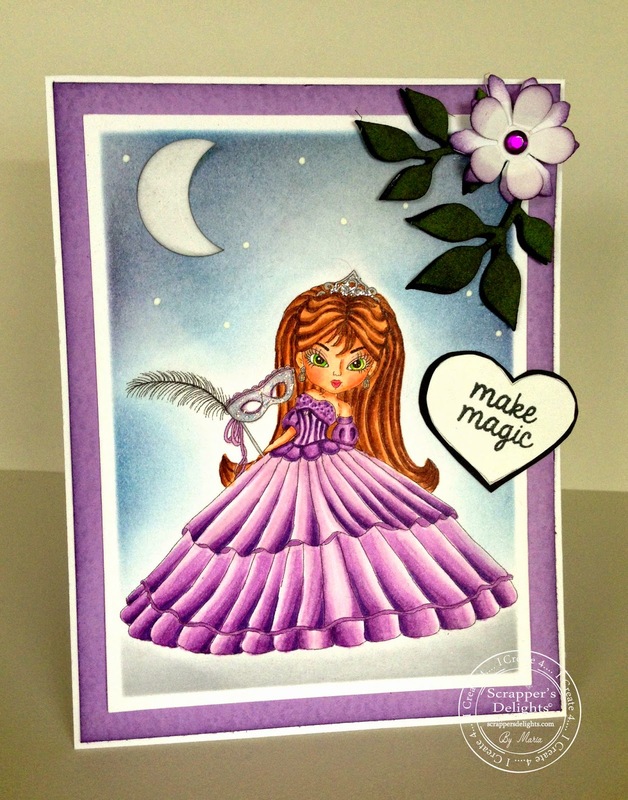 I made this CAS card using one of Alicia's fabulous images! Her name is "Caperucita Infantil" (Little Red). Isn't she adorable? Right now she is a freebie on her site HERE. 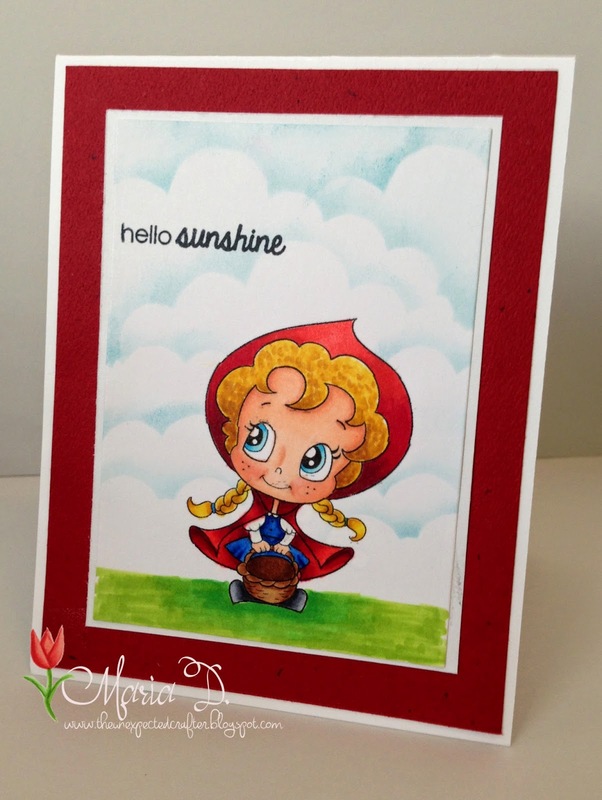 Stop by and check out the large selection of super cute and amazing designs she has! You will loose yourself in her shop! Its New Release day at Scrapper's Delights!! Its that time of the year again and Fall is in the air. Check out this super cute image. Her name is Halloween Anna Mae 2! I had so much fun coloring her and I am sure you will too! I hope you like my card and that it inspires you to create yours!! I added a few flowers as I always like to do anyway! 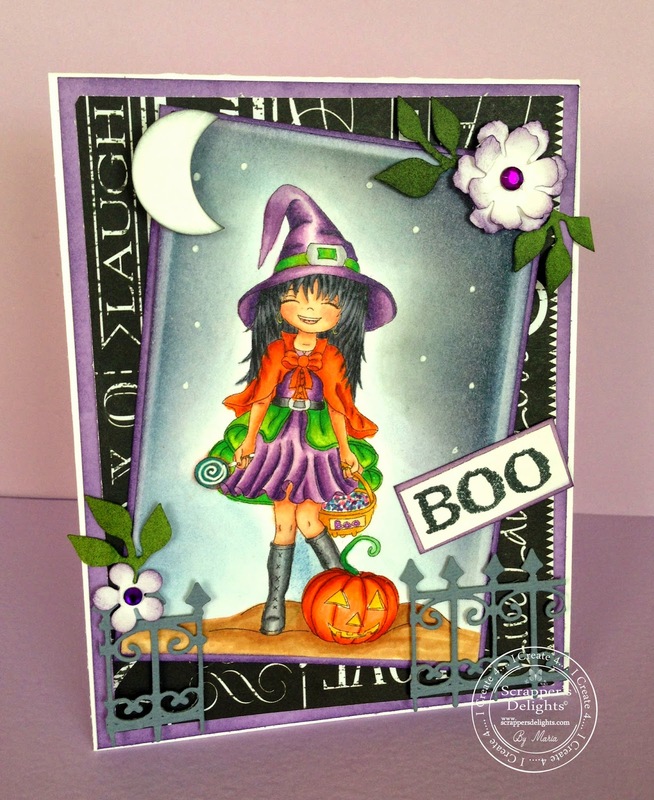 It is time for another fun challenge at Scrapper's Delights! Come join us and enter your project for a chance to win free digis! Here's my card and I hope it inspires you! You can also find us in Pinterest! Its a Masquerade Party at Scrapper's Delight's!!! Become a Fan of Scrapper's Delights Facebook Fan Page and grab one of two of the images on sale on their Scrapper's Delights Store and play along with us! You will have a chance to win $10 GV to spend at the store! So come on!! Get your Masquerade party juices on and join us for some fun! Here's my card to inspire you! 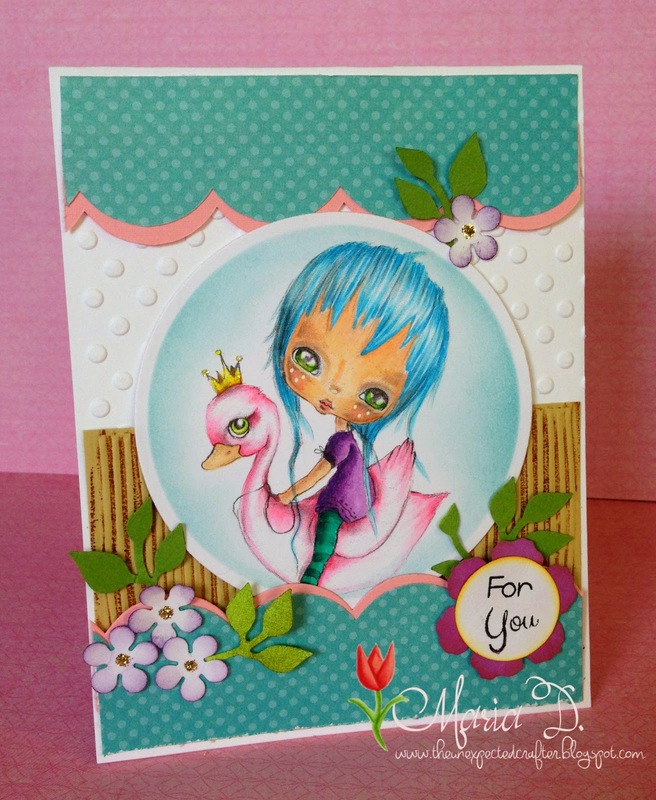 I have fallen in love with Sugar Nellie stamps! They are unique and super, super sweet! I just finished coloring this card and enjoyed it a lot! Hair especially is fantastic for coloring! So much fun! I hope I did this super cute image justice! I almost didn't want to put anything around the image because she is so lovely, but I wanted to make some kind of scenery for her. So here she is... 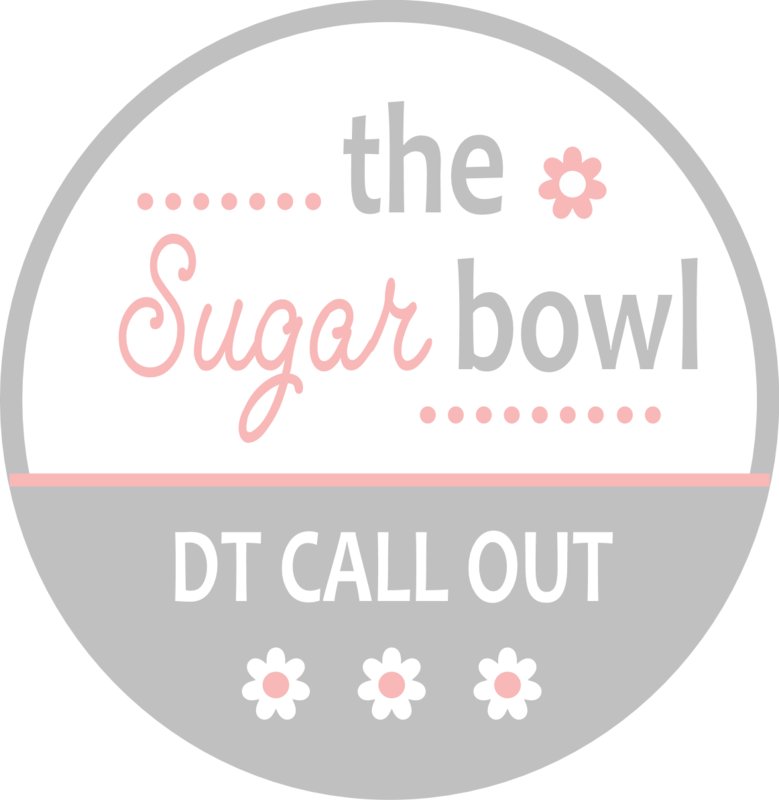 I am entering this image on Sugar Nellie's DT call.